This post brought to you by Simply Potatoes. The content and opinions expressed below are that of Cookistry. Potato soup is one of my ultimate comfort foods, and what's better than comfort food that's easy to prepare? This one is made in a slow cooker, so you don't need to watch it, stir it, or worry about burning. Slow cooking is one of my favorite methods for busy days. This was my first time using Simply Potatoes, and I have to say that I enjoyed the convenience. Just rip the bag open and go. In case you haven't seen them yet, Simply Potatoes are fresh potatoes, not frozen or dried, so you'll find them in the refrigerated dairy section. Since they're peeled and prepared, they're easy to use. And they're made from real ingredients. You know - potatoes. I found a number of different varieties at the store, including hash browns - and how convenient it that? No grating in the morning when you're sleep-cooking! In the end, I decided to use two different types of Simply Potatoes - the traditional mashed and the chunks. I used the mashed because I wanted a thick, creamy soup, and I used the chunks to provide texture in the soup to match the other vegetables. It was the perfect choice. The rest of the vegetables in this soup can be prepped ahead of time if you like. 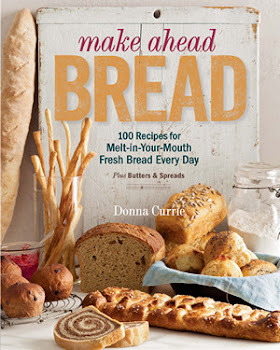 Unlike potatoes that brown when cut, the carrots, celery and leek can be cut ahead of time and refrigerated until needed, so when you're ready to cook, you don't need to do much work at all. This is a thick, stick-to-your-ribs soup. If you prefer something thinner, add more stock or water to achieve your desired consistency. Peel the carrots and slice them into thin rounds. Cut the celery in half, lengthwise, then slice into pieces about the same size as the carrots. Trim the tough green parts off of the leek, and cut off the roots, if they're still attached. Cut the leek in quarters, lengthwise, then slice into thin pieces. Put the leek pieces into a colander or strainer and rinse well. Leeks usually have dirt or sand trapped between some of the layers, and you want to make sure you remove all of that. Heat the butter in a saute pan (or in your slow cooker, if it has a bottom-cooking function) and add the carrots, celery, and leek. Add the salt, and cook, stirring, until the vegetables have soften a bit. You don't need them cooked through, but you do want to give them a head start. Add the vegetable to the slow cooker along with the chicken stock and mashed potatoes. Turn the heat to high and stir until the mashed potatoes are mostly mixed into the stock. It's fine if there are a few bits. Add the potato chunks and stir again. Cook on high until the vegetables are cooked through - about 2 hours depending on your cooker and how thinly you sliced your vegetables. Taste and add more salt or pepper, if desired. Garnish with crumbled potato chips, if desired. 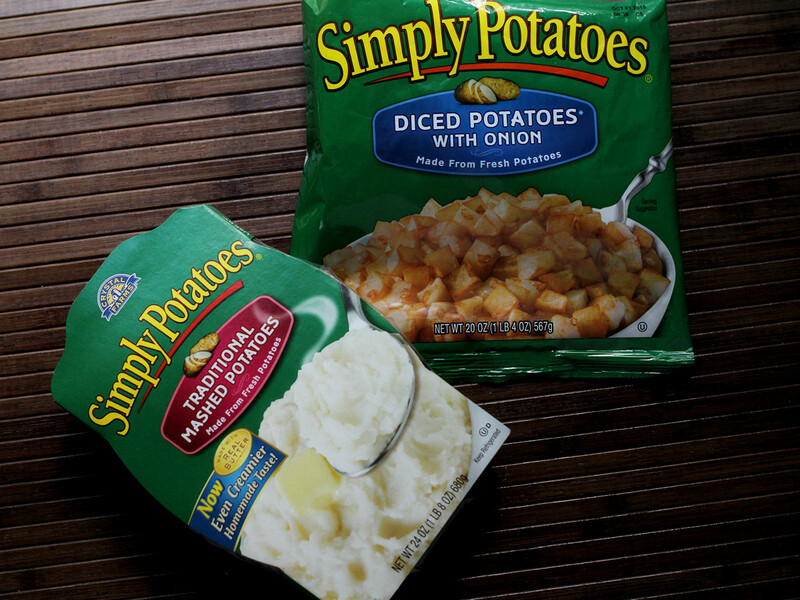 Thanks to Simply Potatoes I gave away one slow cooker to a lucky winner (giveaway is now over). 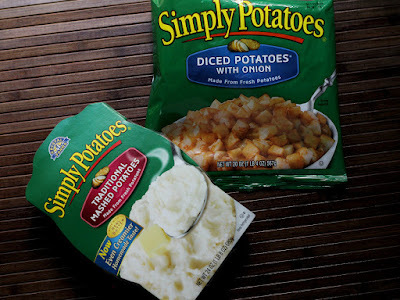 If you're looking for more Simply Potatoes Recipes check out their website or follow Simply Potatoes on Pinterest.